Differentiation Differentiation is the ability for a brand to stand apart from its competitors. A brand should be as unique as possible. Brand health is built and maintained by offering a set of differentiating promises to consumers and delivering those promises to leverage value. Relevance Relevance is the actual and perceived importance of the brand to a large consumer market segment. This gauges the personal appropriateness of a brand to consumers and is strongly tied to household penetration (the percentage of households that purchase the brand). Esteem Esteem is the perceived quality and consumer perceptions about the growing or declining popularity of a brand. Does the brand keep its promises? The consumer’s response to a marketer’s brandbuilding activity is driven by his perception of two factors: quality and popularity, both of which vary by country and culture. Knowledge Knowledge is the extent of the consumer’s awareness of the brand and understanding of its identity. The awareness levels about the brand and what it stands for shows the intimacy that consumers share with the brand. True knowledge of the brand comes through brand-building. Differentiation and Relevance taken together say a lot about its growth potential (“Brand Vitality”), while Esteem and Knowledge determine the current power of a brand (“Brand Stature”). A Survey based on the Brand Asset Valuator is conducted annually containing data about 20.000 brands, based on the opinion of over 230.000 respondents in 44 countries. 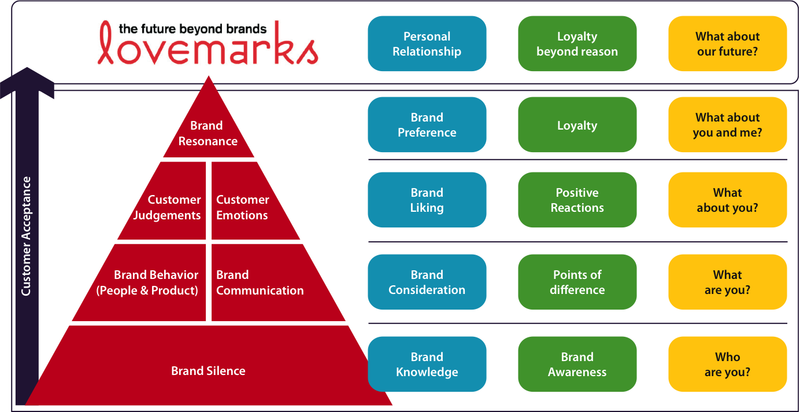 The model is about building, measuring and managing brand equity.